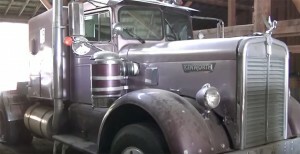 THIS INCREDIBLE KENWORTH TRUCK IS AN AWESOME BARN FIND THAT TOPS ALL OTHER FINDS! Barn finds have been on a steady rise lately, and there has been more and more of them, each one cooler and bigger than the other but it appears that we have found the biggest one yet. And no, it is not the number of vehicles that has been greater than any other ones, it is simply one vehicle which topples the rest of the ones you are used to reading about. 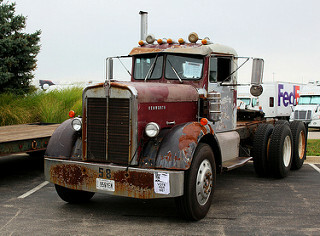 This time it is a true giant that has been lying in wait for better times, and it is an amazingly preserved 1958 Kenworth. This rig has been parked in that barn in a nearly perfect condition, and it stayed that way for years. Check out the amazing truck that the transformers fans might start calling Optimus Prime in the video below and tell us honestly, isn’t this one of the prettiest trucks out there? This entry was posted in American, Car, Classic Car by admin. Bookmark the permalink.